Bay City Supply of Bellingham – Walter E. Nelson Co. 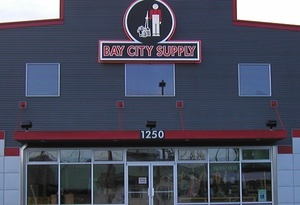 Located in the beautiful Pacific Northwest city of Bellingham, Washington, Bay City Supply has sourced the most innovative suppliers on the cutting edge of the cleaning industry for the past 33 years. Our focus is on building relationships with you, our customers by improving your brand image, refining your facility maintenance program and reducing your waste and production costs with innovative products and processes. We have a fleet of trucks with fast response time decreasing your inventory costs. Our staff has over 100 years of combined experience solving facility maintenance and cleaning problems. Our facility on 1250 Iowa Street in Bellingham services businesses in 5 counties throughout Washington State and includes a 12,000 sq. ft. warehouse and 3,750 sq. ft. showroom which is open to the public. We staff a service department with a full time commercial technician certified in Nobles, Tennant, ProTeam, Karcher/Windsor, and NaceCare equipment. Our full rental line offers our customers commercial grade equipment at a low cost. Our outside sales representatives are available to analyze your facility to determine cost saving methods and improve your current procedures. We practice and promote sustainability and look forward to helping you deliver healthy, safe buildings for your customers, employees, and families. For over a decade we have been a member of Sustainable Connections, a non-profit organization focused on cultivating relationships in the local community of Bellingham. As a member we participate in many of the network’s sustainable practice programs including: Toward Zero Waste, The Whatcom Watershed Pledge, and The Community Energy Challenge. Bay City Supply is also a Green Power Participant, and has supported the Buy Local program since its inception.